... from inviting over friends for an impromptu brunch; to wowing guests with delicious new recipes; to making sure her ever-on-the-move family makes time to sit down together. For Jane, food is enjoyable because of the people surrounding it and the pleasures of hosting and nourishing those she cares about, body and soul. 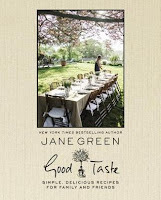 Kritters Thoughts: Jane Green is a women's fiction author that I have loved for a long time, so when I found out she was coming out with a cookbook I was definitely intrigued! 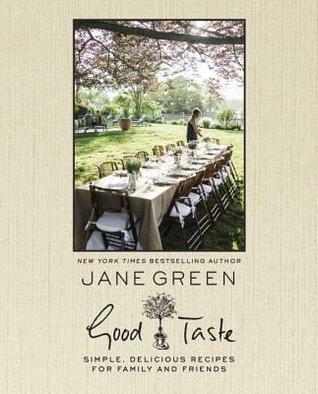 When I received the pitch to get a review copy, I couldn't wait to see what kind of recipes Jane had included. This cookbook is not for the new chef in the kitchen. Her recipes aren't extremely complicated, but definitely not for the faint of heart - like me! I am not the cook in our home, so I enjoyed reading it and may have pointed a few out to my husband, but I am not sure I could tackle some of them. I did like that her cookbook was centered around entertaining. I enjoyed that they were meals that were best shared with a home full of people. I like this cookbook, but it won't be one that stays in my kitchen year round. I would bring this one out if we were having a group over and needed some inspiration.